RB Mack Brown takes the handoff and runs around the corner. 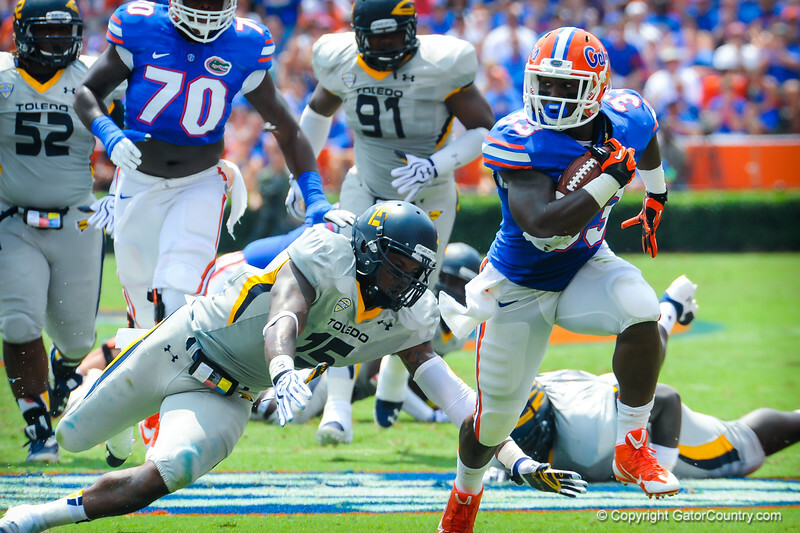 Gators vs. toledo. 8-31-13.